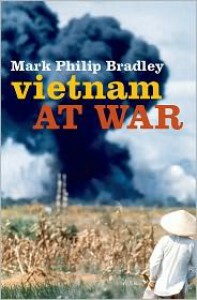 The blurb on the dust jacket of my edition says that Vietnam At War is “a penetrating history of how the Vietnamese people experienced the wars for their country” and “Mark Philip Bradley paints a vivid picture of how Vietnamese people of all classes…came to understand the thirty years of bloody warfare that unfolded around them.” It was comments like these and favorable reviews of this book that got it on my GR wishlist and convinced me to acquire it when given opportunity. Unfortunately, that’s not what I got with this book. It’s a perfectly adequate primer on the war in Vietnam (from the French attempt to recolonize the region after 1945 to Saigon’s fall in 1975) but it’s hardly a “penetrating” look at how the Vietnamese experienced the wars; it’s hardly a look at all. One problem is that the book’s too short. At 196 pages of text in my edition, it wastes too many of them setting the background and not nearly enough talking about the Vietnamese. We meet some individuals: Dang Thuy Tram, a young Northern medical student who worked in a field hospital from 1967 to 1970, when she was killed; the writers Tran Huy Quang and Bao Ninh; Trinh Công Son, a musician; and Dang Nhat Minh, a film-maker. But Bradley barely mentions them and their lives before returning to the straight-up narrative. 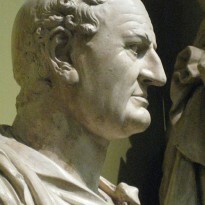 Another complaint I have is that the photographs included don’t seem to be very well organized and there are too few.